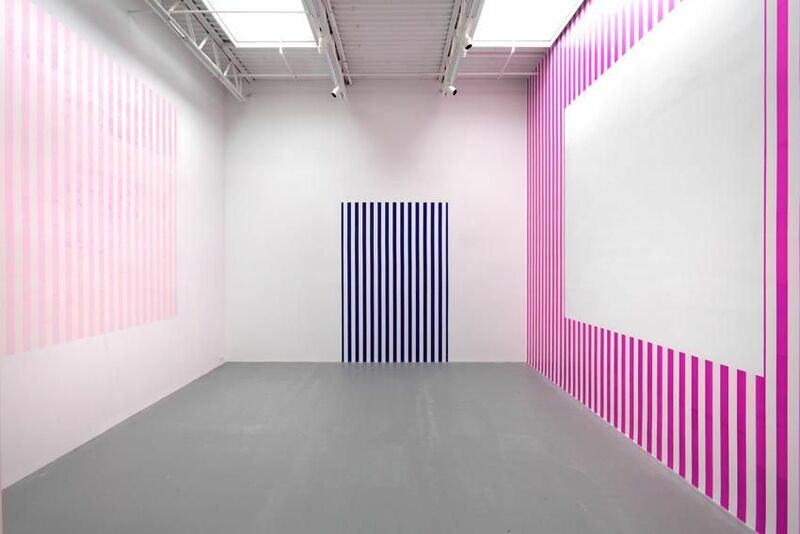 (NEW YORK, NY) - Petzel Gallery is pleased to announce an exhibition with Daniel Buren from January 10th through February 16th, with a reception for the artist on January 10th from 6-8p.m. 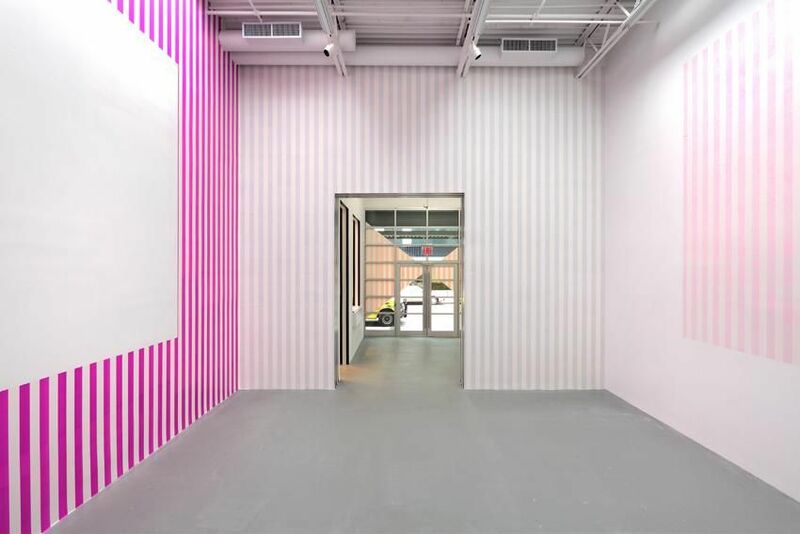 The exhibition will span two gallery spaces, Bortolami Gallery at 520 West 20th Street and Petzel Gallery at 456 West 18th Street. 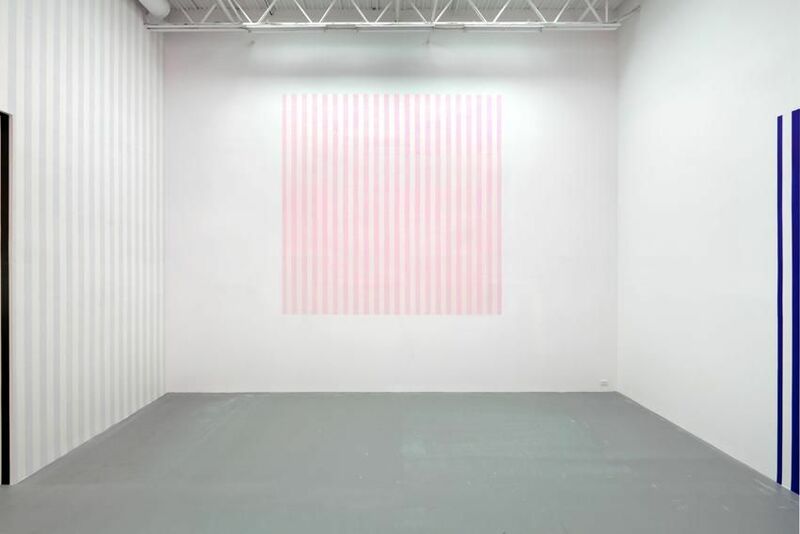 Bortolami Gallery will feature Plexiglas and fabric situated works and a room of new fiber optics. 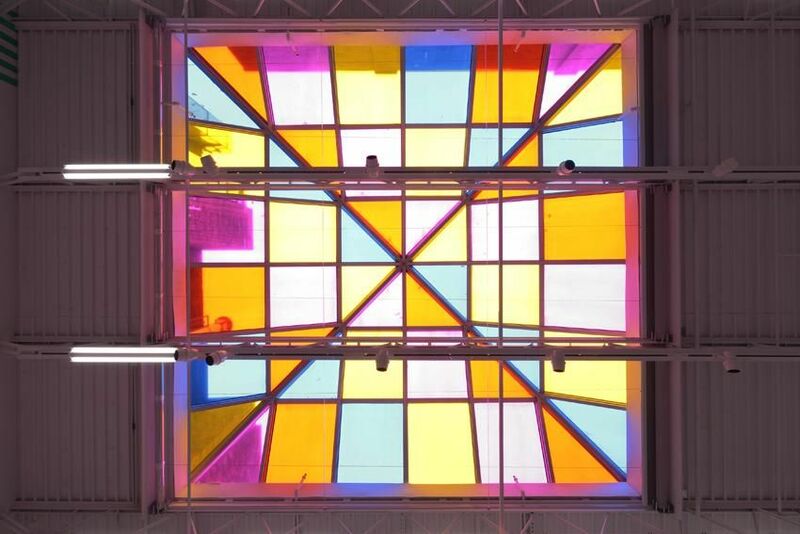 Daniel Buren realized these situated works with the textile company Brochier Soieries, using their innovative fiber optic technology for luminescent textiles. 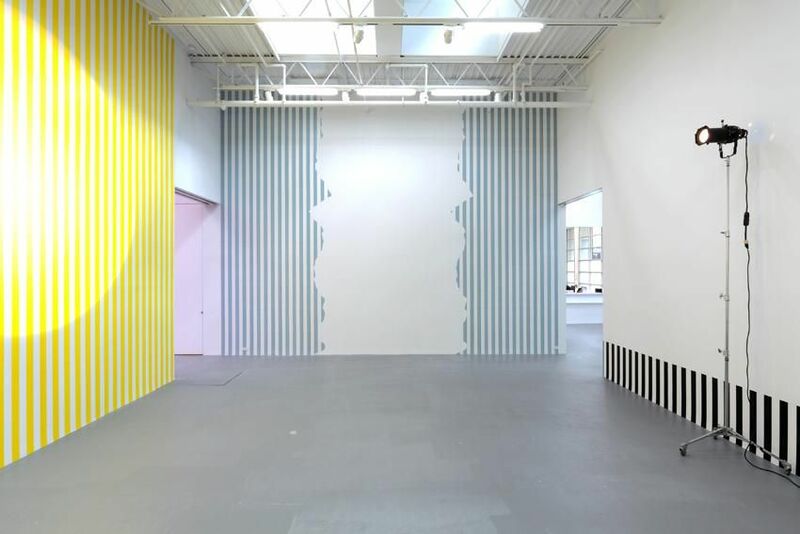 Petzel Gallery will showcase historical in situ works made with paper which the artist began in 1968. 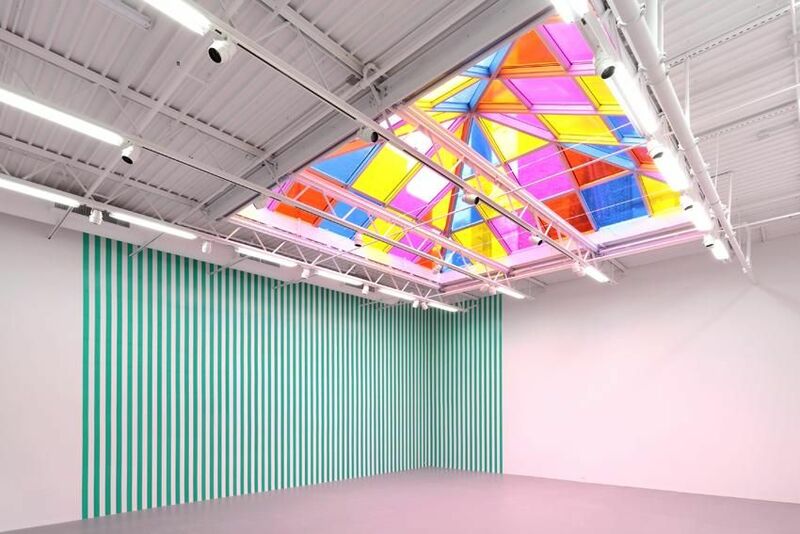 Throughout his almost 50-year-long career, Daniel Buren is best known for his use of contrasting stripes as a visual tool that reveals the specific features and dimensions of a site, often transforming the environment for which it was specifically designed. 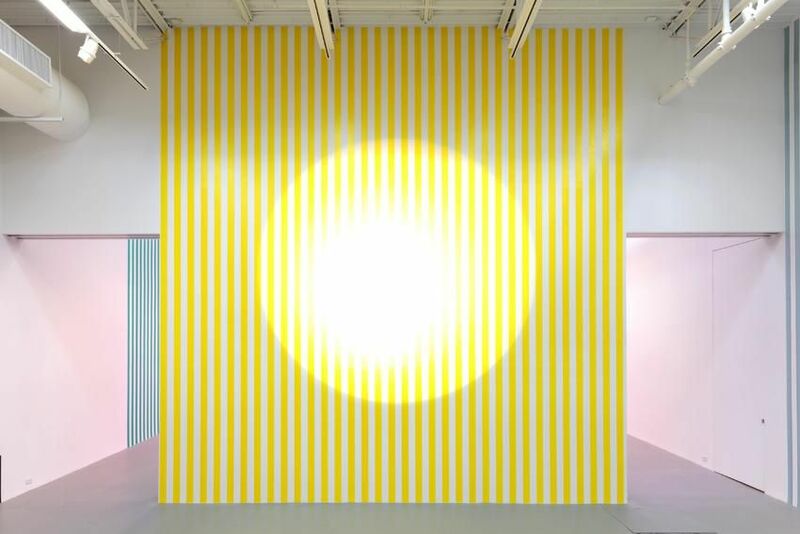 He alters the perception and context of one’s surroundings by modifying the navigation of space, enhancing lighting, obstructing viewpoints, and highlighting certain architectural features. 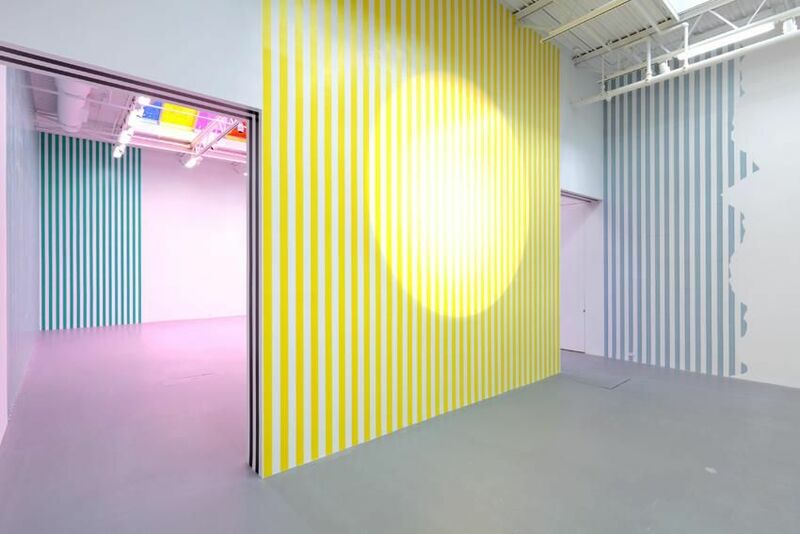 Buren installs his work—much of which is temporary—in the architecture of both public and private spaces ranging from subway platforms to prestigious museums. 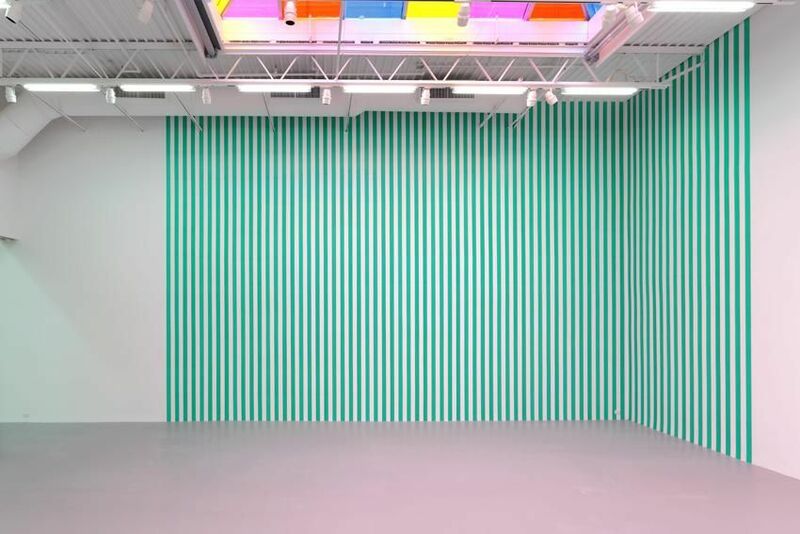 Work in situ- “denotes a work made for a particular site, for a particular time and exhibited in this particular site, and therefore not transportable to another place.” Buren has also identified himself as an artist who “lives and works in situ." 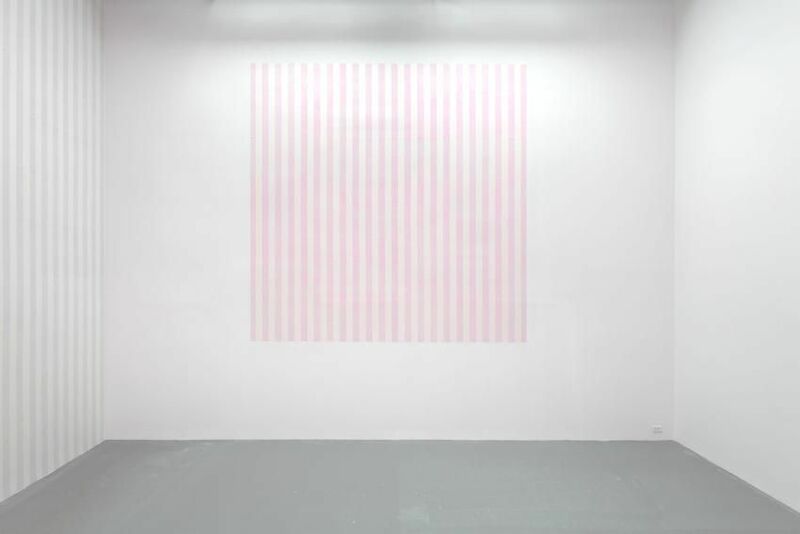 Visual tool- the sign of white and color alternating in stripes of exactly 8.7 cm. 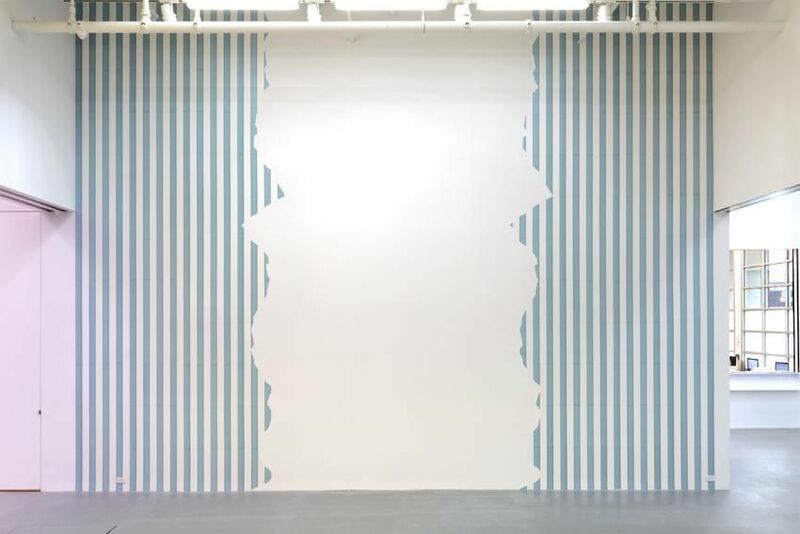 in width, as derived from the fabric he first used as a canvas in 1965. This functions as a tool in Buren’s work, as a standard or unit of measure of formal properties. 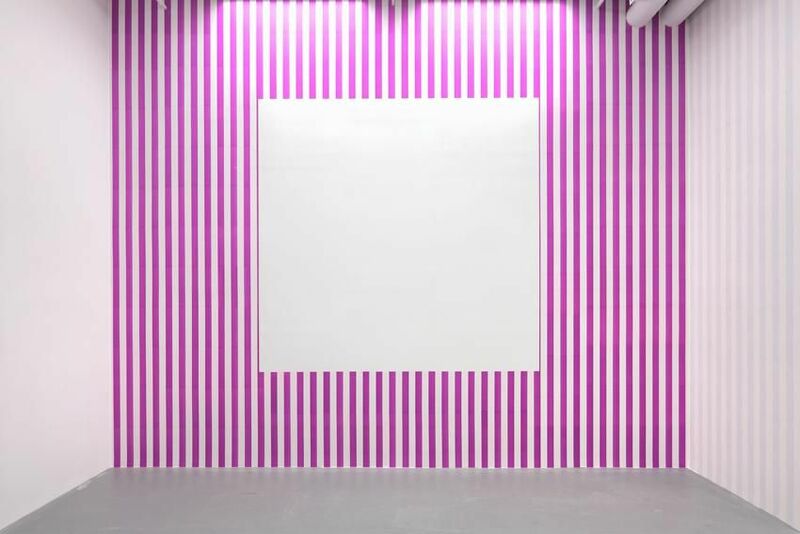 Significantly, it is also an intended sign that serves as a constant within the wildly variable parameters and juxtapositions of any and all in situ and situated work since 1965 without exception. 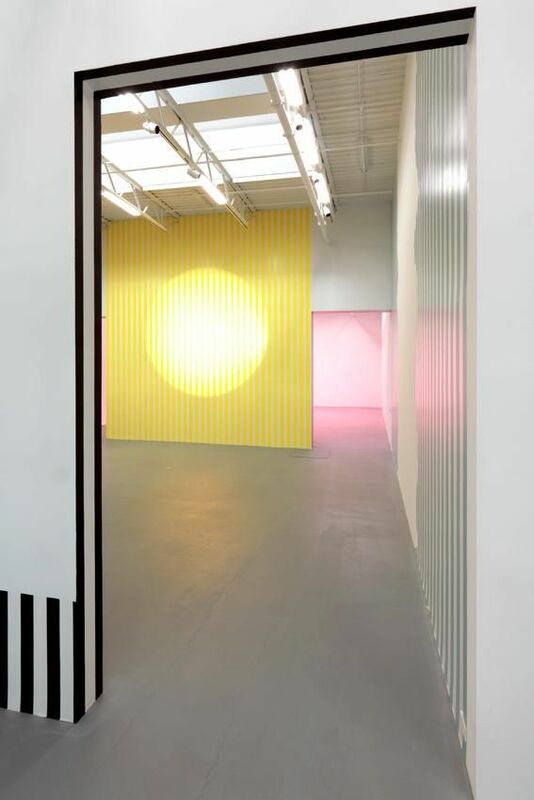 Daniel Buren (b. 1938) has been the subject of retrospectives at the Solomon R. Guggenheim Museum, New York (2005) and the Centre Pompidou, Paris (2002). 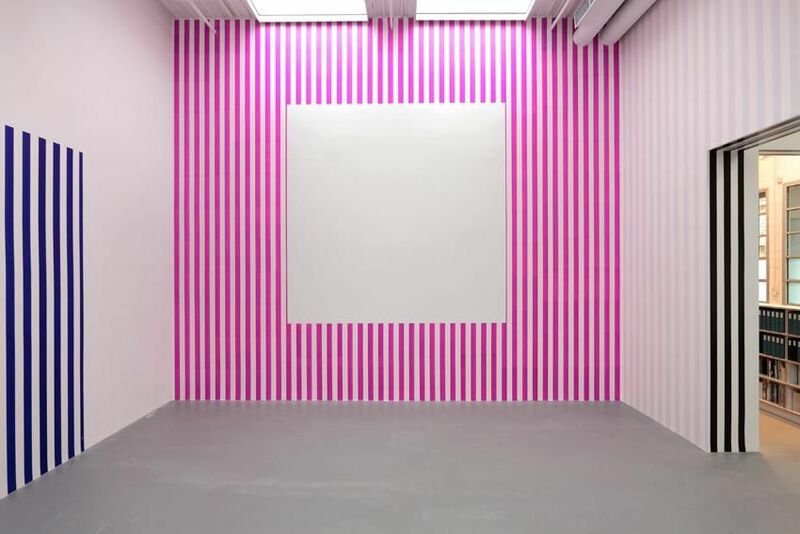 His work is also included in prestigious private and public collections worldwide. 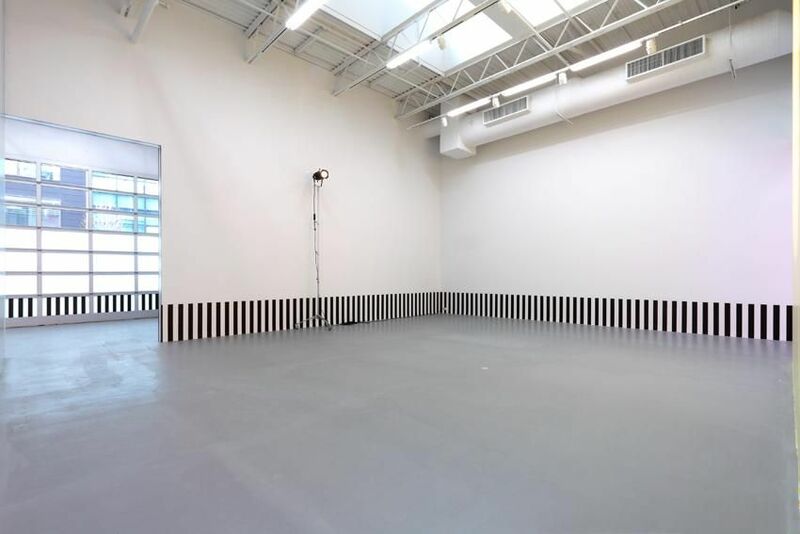 Buren has exhibited in the Venice Biennale more than 10 times and was awarded the Golden Lion for his French Pavilion in 1986. In 2007, he received the Praemium Imperiale for Painting from Japan. Most recently, he was selected to exhibit at MONUMENTA 2012 at the Grand Palais in Paris. 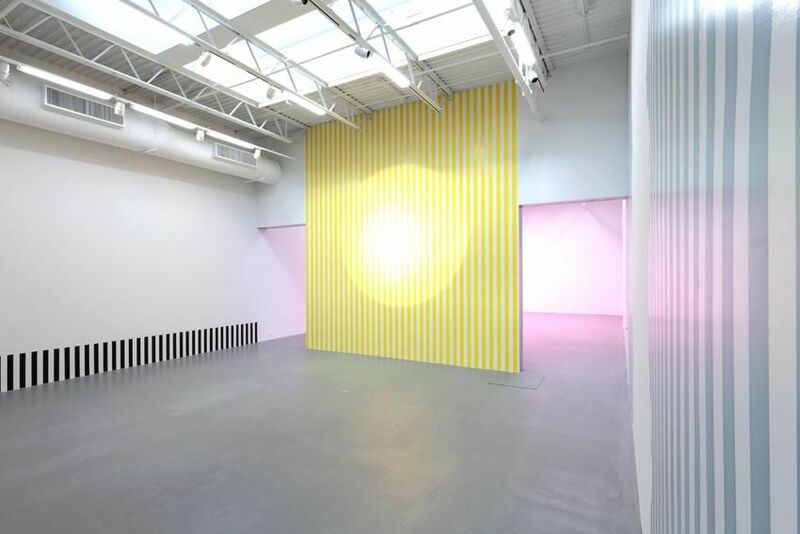 Petzel Gallery is located at 456 West 18th Street New York, NY 10011. Hours are Tuesday – Saturday, 10:00 AM – 6:00 PM. For further information, please call (212) 680 9467 or email info@petzel.com. For press inquiries, please contact Janine Latham at janine@petzel.com.